Julius the Paul Frank Monkey looks like he’s on his way to woo with a baquette, champagne and a pretty P200. The shirt is in Junior’s sizes and is $12.99. Thanks to Thomas C. for this find! Frame up some vintage tech. These art prints come in a 5-pack for $5 from Ikea. 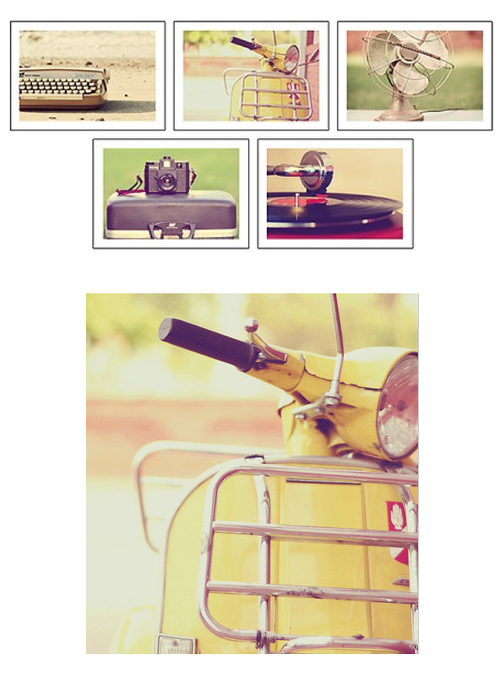 They measure 6″ H and 4″ W and will fit into a frame with a picture measurement of 3 7/8″ x 5 3/4″. The shiny sunny side up. Don’t like orange? No worries. 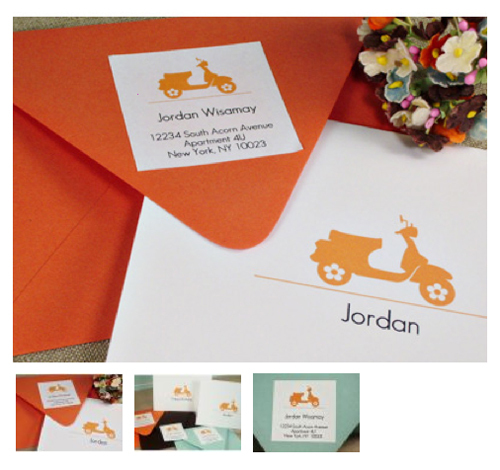 Whisker Graphics has customizable print on demand and you can get labels, tags, business cards, stationery, etc. 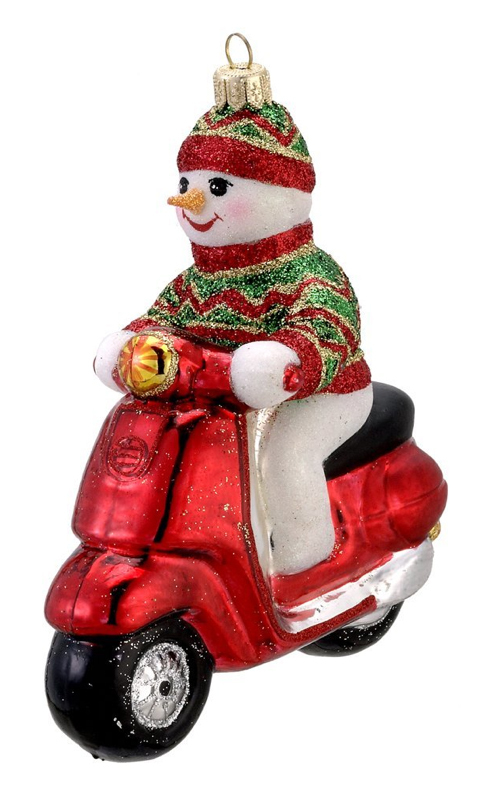 with this scooter on different colored paper stocks. Their prices are pretty reasonable so go nuts. For your little monster or modster. I have to say this “monster” shirt is one of the cutest scooter-related things I’ve ever seen. Adorable! And I like the slogan “ride and rule” a lot too. Good Job H&M! Both shirts are $4.95. The monster shirt is available in the 1 1/2 to 8 years size range. And the mod shirt is available in the 8 – 14 years size range. (Sorry adult peoples!) Also online ordering is not yet available in the States so hopefully you have an H&M nearby to race to. Thanks to Becky M. for this find! Here are 2 coolers that would be great for the office or school. 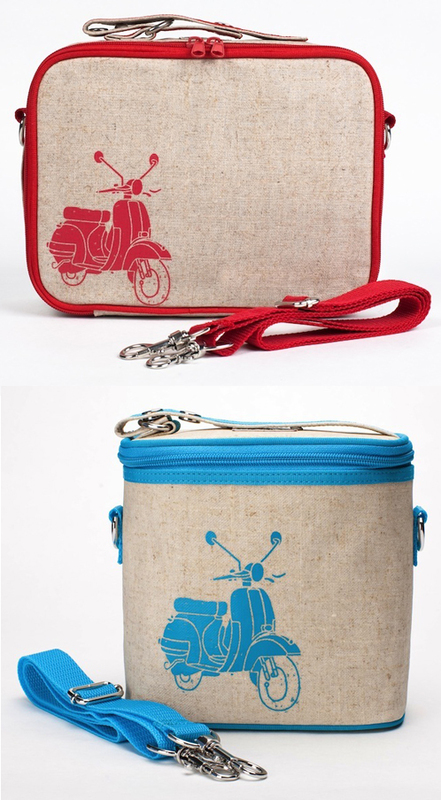 The red cooler is $29.95 and the blue cooler is $27.95. Thanks to Julie G. for this find! 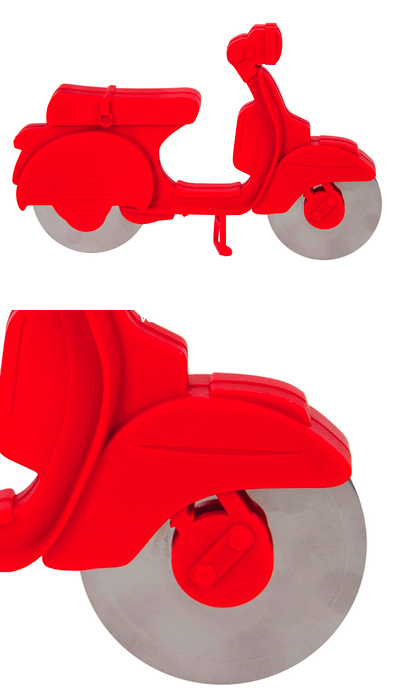 Yes, you can order this Vespa Pizza Cutter for $17 . . . if you’re in Australia. Dwell in the UK had them for a month or so online but alas they have disappeared. But as the only pizza cutter in the world that has its own kick stand, it’s worth the hunt. Features two super sharp cutting wheels, with the second one to reinforce the slice. Made from food-safe plastic and stainless steel. Presented in a Pizza Scooter box. Dimensions: 17 x 12cm. Here are some scooter pumpkins for you. Watch out for those wet leaves now, ya hear?